The biography of Sir Isaac Newton was published in Hawthorne's, True Stories from History and Biography (1851). As Newton observed after a life-time of discoveries: "I seem to myself like a child," observed he, "playing on the sea-shore, and picking up here and there a curious shell or a pretty pebble, while the boundless ocean of Truth lies undiscovered before me." On Christmas-day, in the year 1642, Isaac Newton was born, at the small village of Woolsthorpe, in England. Little did his mother think, when she beheld her new-born babe, that he was destined to explain many matters which had been a mystery ever since the creation of the world. Isaac's father being dead, Mrs. Newton was married again to a clergyman, and went to reside at North Witham. Her son was left to the care of his good old grandmother, who was very kind to him, and sent him to school. In his early years, Isaac did not appear to be a very bright scholar, but was chiefly remarkable for his ingenuity in all mechanical occupations. He had a set of little tools, and saws of various sizes, manufactured by himself. With the aid of these, Isaac contrived to make many curious articles, at which he worked with so much skill, that he seemed to have been born with a saw or chisel in his hand. The neighbors looked with vast admiration at the things which Isaac manufactured. And his old grandmother, I suppose, was never weary of talking about him. "He'll make a capital workman, one of these days," she would probably say. "No fear but what Isaac will do well in the world, and be a rich man before he dies." It is amusing to conjecture what were the anticipations of his grandmother and the neighbors, about Isaac's future life. Some of them, perhaps, fancied that he would make beautiful furniture of mahogany, rose-wood, or polished oak, inlaid with ivory and ebony, and magnificently gilded. And then, doubtless, all the rich people would purchase these fine things, to adorn their drawing-rooms. Others probably thought that little Isaac was destined to be an architect, and would build splendid mansions for the nobility and gentry, and churches too, with the tallest steeples that had ever been seen in England. Some of his friends, no doubt, advised Isaac's grandmother to apprentice him to a clockmaker; for, besides his mechanical skill, the boy seemed to have a taste for mathematics, which would be very useful to him in that profession. And then, in due time, Isaac would set up for himself, and would manufacture curious clocks, like those that contain sets of dancing figures, which issue from the dial-plate when the hour is struck; or like those, where a ship sails across the face of the clock, and is seen tossing up and down on the waves, as often as the pendulum vibrates. Indeed, there was some ground for supposing that Isaac would devote himself to the manufacture of clocks; since he had already made one, of a kind which nobody had ever heard of before. It was set a-going, not by wheels and weights, like other clocks, but by the dropping of water. This was an object of great wonderment to all the people roundabout; and it must be confessed that there are few boys, or men either, who could contrive to tell what o'clock it is, by means of a bowl of water. Besides the water-clock, Isaac made a sun-dial. Thus his grandmother was never at a loss to know the hour; for the water-clock would tell it in the shade, and the dial in the sunshine. The sun-dial is said to be still in existence at Woolsthorpe, on the corner of the house where Isaac dwelt. If so, it must have marked the passage of every sunny hour that has elapsed, since Isaac Newton was a boy. It marked all the famous moments of his life; it marked the hour of his death; and still the sunshine creeps slowly over it, as regularly as when Isaac first set it up. Yet we must not say that the sun-dial has lasted longer than its maker; for Isaac Newton will exist, long after the dial—yea, and long after the sun itself—shall have crumbled to decay. Isaac possessed a wonderful faculty of acquiring knowledge by the simplest means. For instance, what method do you suppose he took, to find out the strength of the wind? You will never guess how the boy could compel that unseen, inconstant, and ungovernable wanderer, the wind, to tell him the measure of its strength. Yet nothing can be more simple. He jumped against the wind; and by the length of his jump, he could calculate the force of a gentle breeze, a brisk gale, or a tempest. Thus, even in his boyish sports, he was continually searching out the secrets of philosophy. Not far from his grandmother's residence there was a windmill, which operated on a new plan. Isaac was in the habit of going thither frequently, and would spend whole hours in examining its various parts. While the mill was at rest, he pryed into its internal machinery. When its broad sails were set in motion by the wind, he watched the process by which the mill-stones were made to revolve, and crush the grain that was put into the hopper. After gaining a thorough knowledge of its construction, he was observed to be unusually busy with his tools. It was not long before his grandmother, and all the neighborhood, knew what Isaac had been about. He had constructed a model of the windmill. Though not so large, I suppose as one of the box-traps which boys set to catch squirrels, yet every part of the mill and its machinery was complete. Its little sails were neatly made of linen, and whirled round very swiftly when the mill was placed in a draught of air. Even a puff of wind from Isaac's mouth, or from a pair of bellows, was sufficient to set the sails in motion. And—what was most curious—if a handful of grains of wheat were put into the little hopper, they would soon be converted into snow-white flour. Isaac's playmates were enchanted with his new windmill. They thought that nothing so pretty, and so wonderful, had ever been seen in the whole world. "But, Isaac," said one of them, "you have forgotten one thing that belongs to a mill." "What is that?" asked Isaac; for he supposed, that, from the roof of the mill to its foundation, he had forgotten nothing. "Why, where is the miller?" said his friend. "That is true!—I must look out for one," said Isaac; and he set himself to consider how the deficiency should be supplied. He might easily have made the miniature figure of a man; but then it would not have been able to move about, and perform the duties of a miller. As Captain Lemuel Gulliver had not yet discovered the island of Lilliput, Isaac did not know that there were little men in the world, whose size was just suited to his windmill. It so happened, however, that a mouse had just been caught in the trap; and, as no other miller could be found, Mr. Mouse was appointed to that important office. The new miller made a very respectable appearance in his dark gray coat. To be sure, he had not a very good character for honesty, and was suspected of sometimes stealing a portion of the grain which was given him to grind. But perhaps some two-legged millers are quite as dishonest as this small quadruped. As Isaac grew older, it was found that he had far more important matters in his mind than the manufacture of toys, like the little windmill. All day long, if left to himself, he was either absorbed in thought, or engaged in some book of mathematics, or natural philosophy. At night, I think it probable, he looked up with reverential curiosity to the stars, and wondered whether they were worlds, like our own,—and how great was their distance from the earth,—and what was the power that kept them in their courses. Perhaps, even so early in life, Isaac Newton felt a presentiment that he should be able, hereafter, to answer all these questions. When Isaac was fourteen years old, his mother's second husband being now dead, she wished her son to leave school, and assist her in managing the farm at Woolsthorpe. For a year or two, therefore, he tried to turn his attention to farming. But his mind was so bent on becoming a scholar, that his mother sent him back to school, and afterwards to the University of Cambridge. I have now finished my anecdotes of Isaac Newton's boyhood. My story would be far too long, were I to mention all the splendid discoveries which he made, after he came to be a man. He was the first that found out the nature of Light; for, before his day, nobody could tell what the sunshine was composed of. You remember, I suppose, the story of an apple's falling on his head, and thus leading him to discover the force of gravitation, which keeps the heavenly bodies in their courses. When he had once got hold of this idea, he never permitted his mind to rest, until he had searched out all the laws, by which the planets are guided through the sky. This he did as thoroughly as if he had gone up among the stars, and tracked them in their orbits. The boy had found out the mechanism of a windmill; the man explained to his fellow-men the mechanism of the universe. While making these researches he was accustomed to spend night after night in a lofty tower, gazing at the heavenly bodies through a telescope. His mind was lifted far above the things of this world. He may be said, indeed, to have spent the greater part of his life in worlds that lie thousands and millions of miles away; for where the thoughts and the heart are, there is our true existence. Did you never hear the story of Newton and his little dog Diamond? One day, when he was fifty years old, and had been hard at work more than twenty years, studying the theory of Light, he went out of his chamber, leaving his little dog asleep before the fire. On the table lay a heap of manuscript papers, containing all the discoveries which Newton had made during those twenty years. When his master was gone, up rose little Diamond, jumped upon the table, and overthrew the lighted candle. The papers immediately caught fire. Just as the destruction was completed, Newton opened the chamber-door, and perceived that the labors of twenty years were reduced to a heap of ashes. There stood little Diamond, the author of all the mischief. Almost any other man would have sentenced the dog to immediate death. But Newton patted him on the head with his usual kindness, although grief was at his heart. "Oh, Diamond, Diamond," exclaimed he, "thou little knowest the mischief thou hast done." This incident affected his health and spirits for some time afterwards; but, from his conduct towards the little dog, you may judge what was the sweetness of his temper. 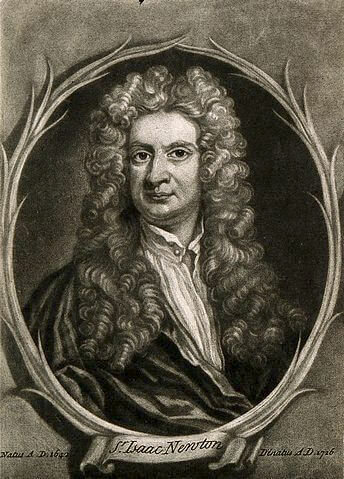 Newton lived to be a very old man, and acquired great renown, and was made a Member of Parliament, and received the honor of knighthood from the king. But he cared little for earthly fame and honors, and felt no pride in the vastness of his knowledge. All that he had learned only made him feel how little he knew in comparison to what remained to be known. "I seem to myself like a child," observed he, "playing on the sea-shore, and picking up here and there a curious shell or a pretty pebble, while the boundless ocean of Truth lies undiscovered before me." At last, in 1727, when he was fourscore and five years old, Sir Isaac Newton died,—or rather he ceased to live on earth. We may be permitted to believe that he is still searching out the infinite wisdom and goodness of the Creator, as earnestly, and with even more success, than while his spirit animated a mortal body. He has left a fame behind him, which will be as endurable as if his name were written in letters of light, formed by the stars upon the midnight sky. "I love to hear about mechanical contrivances—such as the water-clock and the little windmill," remarked George. "I suppose if Sir Isaac Newton had only thought of it, he might have found out the steam-engine, and railroads, and all the other famous inventions that have come into use since his day." "Very possibly he might," replied Mr. Temple; "and, no doubt, a great many people would think it more useful to manufacture steam-engines, than to search out the system of the universe. Other great astronomers, besides Newton, have been endowed with mechanical genius. There was David Rittenhouse, an American,—he made a perfect little water-mill, when he was only seven or eight years old. But this sort of ingenuity is but a mere trifle in comparison with the other talents of such men." "It must have been beautiful," said Edward, "to spend whole nights in a high tower, as Newton did, gazing at the stars, and the comets, and the meteors. But what would Newton have done, had he been blind? or if his eyes had been no better than mine?" "Why, even then, my dear child," observed Mrs. Temple, "he would have found out some way of enlightening his mind, and of elevating his soul. But, come! little Emily is waiting to bid you good night. You must go to sleep, and dream of seeing all our faces." "But how sad it will be, when I awake!" murmured Edward. You may also enjoy Hawthorne's stories about Benjamin Franklin and Oliver Cromwell. Learn about other famous Americans in American Biographies for Kids. Add Sir Isaac Newton to your own personal library.